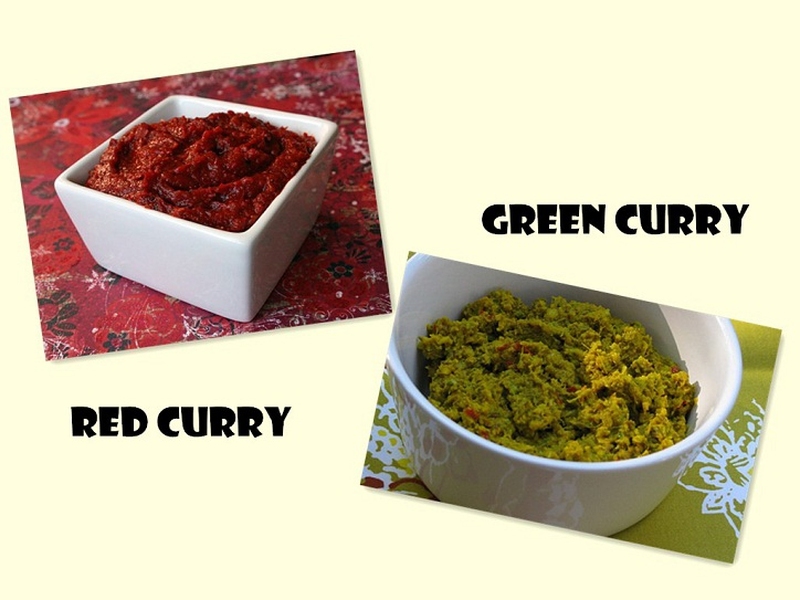 What Is the Difference Between Red and Green Curry? The curries prepared in Thai cuisine are very famous and they are available in various types. The pastes used in making the curry are named by the color and are also categorized on the same basis. The main ingredients used in Thai curry dish are coconut milk, vegetables or meat, seafood, herbs fruits and curry paste. And the curry paste usually determines whether it is red or green curry. Here we will talk about the difference between red and green curry, which are the most popular curries in Thailand. In the traditional recipes for Thai curries, the difference between red and green curry came from the type of chili used while preparing the curry paste. Some ingredients used remained the same, but red chilies give red color and green chilies give green color to the curry. Besides the color, the taste of the chilies also differs, giving a distinct taste for red or green curry. Red curry or green curry has always been a debate, but ultimately it is a matter of choice and taste. Dried long red chilies also known as prik chee fah are used in making red curry paste. Red curry paste is very versatile and used in many dishes in Thai cuisine. It is also known as kreung gaeng phet daeng which has a ruddy hue and has coriander, garlic, shallots, white peppercorns, cumin, roots of cilantro, kaffir lime rind, lemon grass, shrimp paste, sea salt and galangal in it. Green curry paste or kreung gaeng keo wahn has green chilies and herbs in it. This is the main difference between red and green curry. Some ingredients are similar to red curry paste including shallots, white pepper, coriander root, garlic, lemon grass, kaffir lime rind shrimp paste and sea salt. The other ingredients which give the green curry another hue of green are sweet basil leaves, kaffir lime leaves and round green eggplant. If you want to make these delicious curries at home, you can refer to the following videos. For red curry, please see the video below. For green curry, please see the video below. The Thai cuisine boasts of various interesting curries, some of them are the yellow and orange (sour) curries. Each curry has specific ingredients which impart it the unique taste, flavor and color. Also called as gaeng leung or gaeng karee, it is similar to Indian yellow curry and has added dried spices. Yellow curry paste or Nam prik gaeng karee has turmeric and curry powder, with a mellow flavor and sweet and spicy taste. The other ingredients are coriander, cumin, lemon grass, dried red chilies, ginger, garlic, shallots, galangal and shrimp paste. The paste is often used in fish stews, combining coconut milk, chickens, onions and potatoes. Orange curry has a sour flavor and is also known as sour curry paste or kreuang gaeng sohm. This paste is very simple to prepare and is usually water based. It can be used in making curry for fish and pork, but is more popular when used with fish. The ingredients for orange curry are shallots, turmeric, shrimp paste, sea salt and dried red chilies. The sour flavor is imparted by adding fresh or dried pulp of sour tamarind, sour pineapple or any other sour flavored tropical fruits.